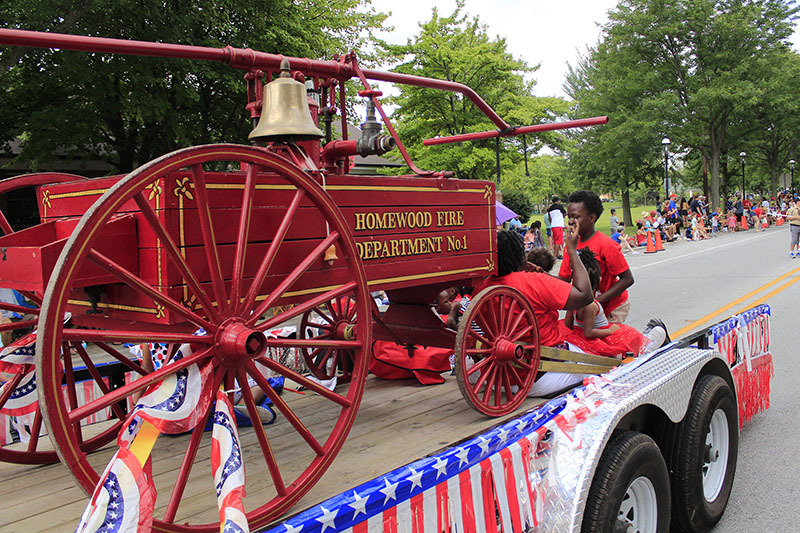 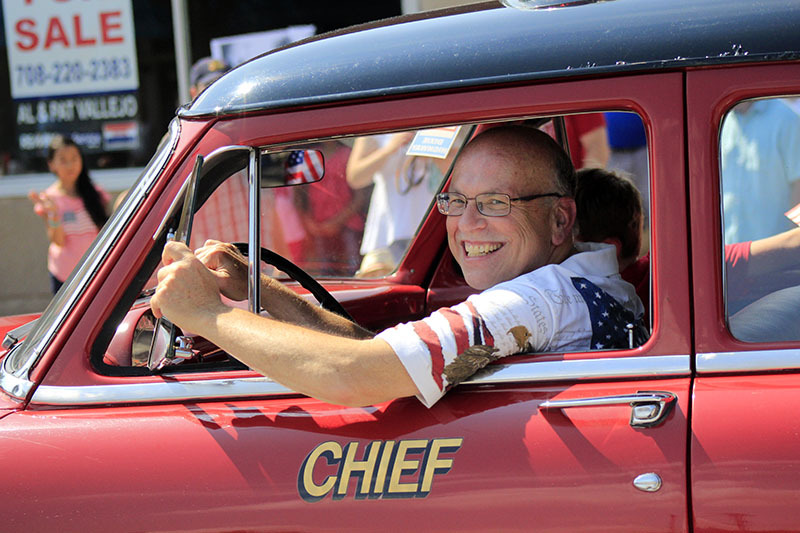 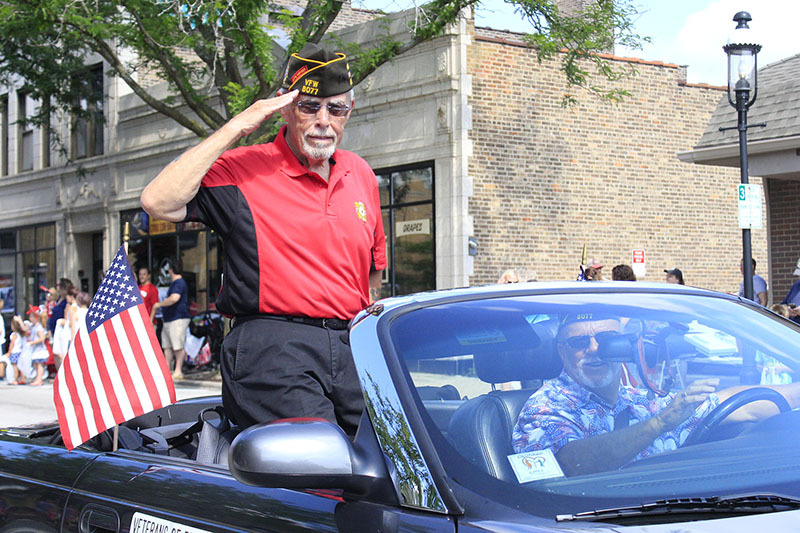 Homewood historian and retired firefighter Jim Wright steers his vintage fire chief car in the Independence Day parade. 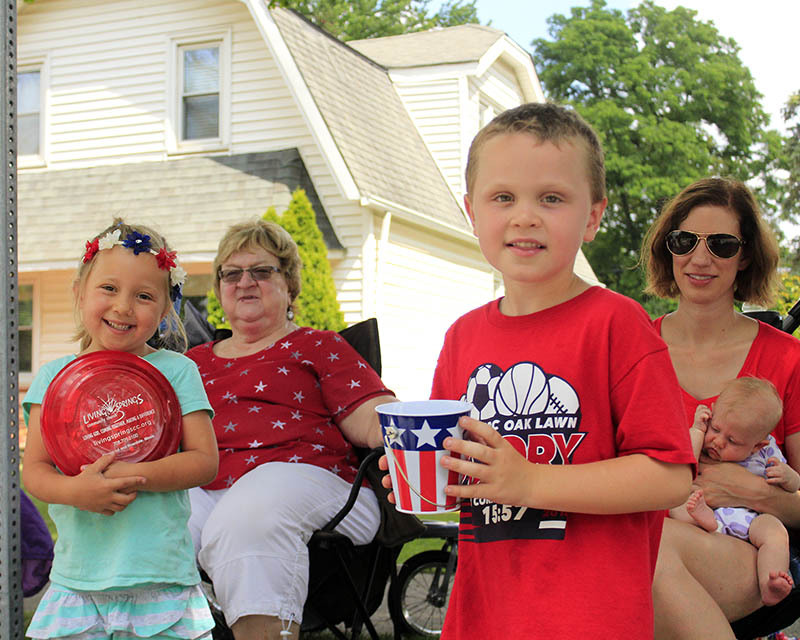 The Sharp family smiles from its post on the corner of Ridge Road and Gladville Avenue. 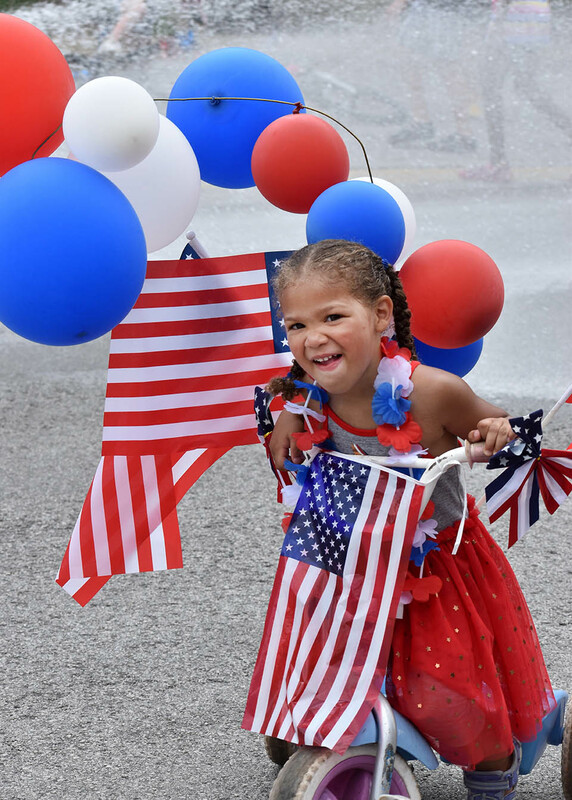 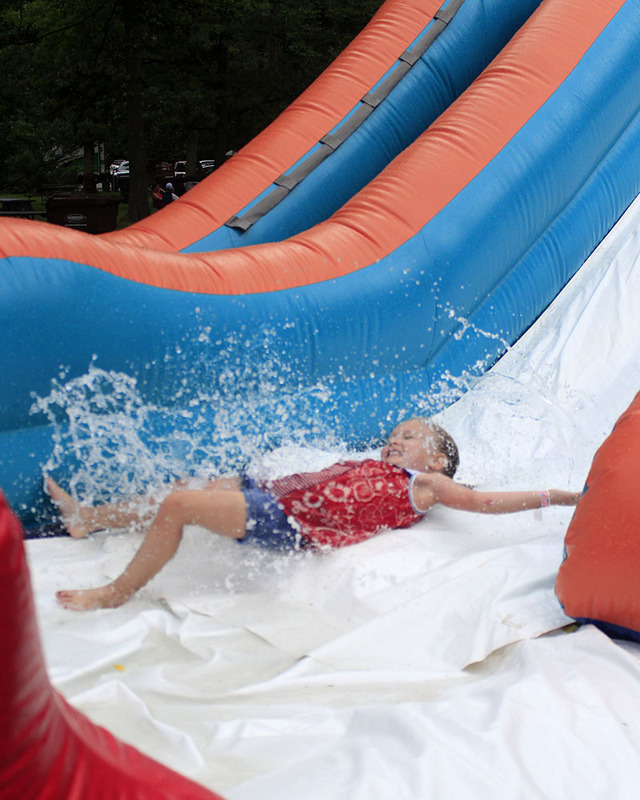 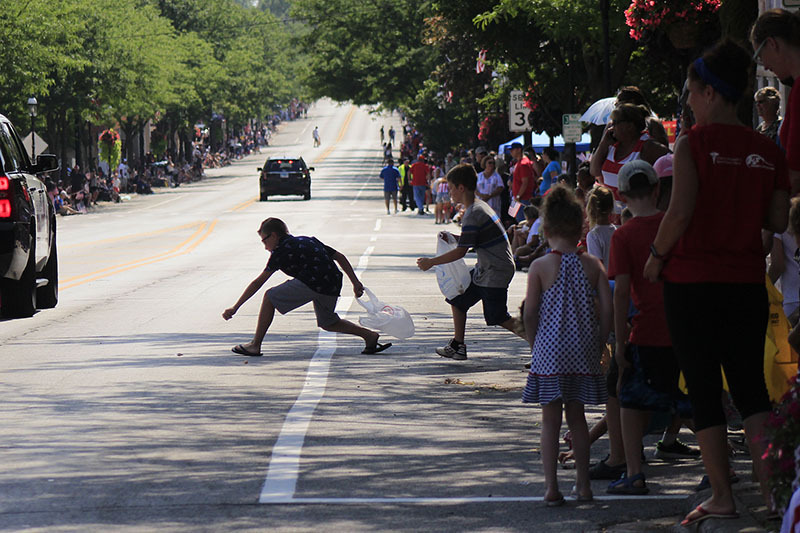 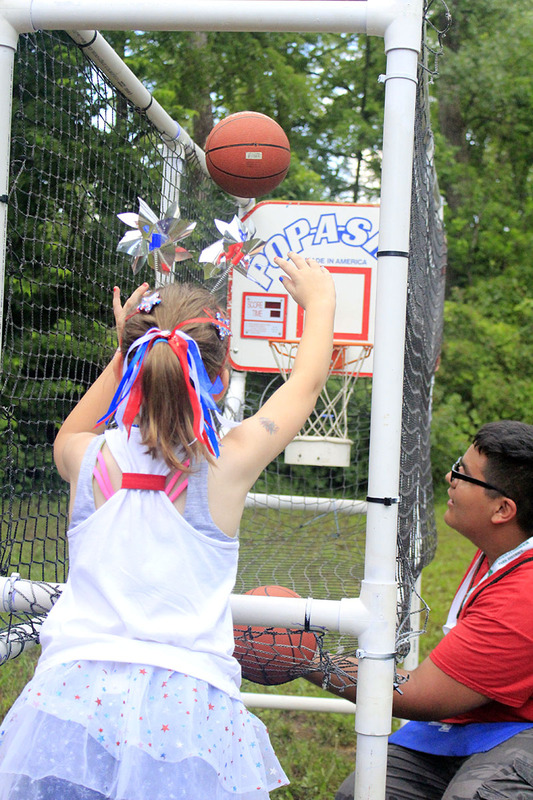 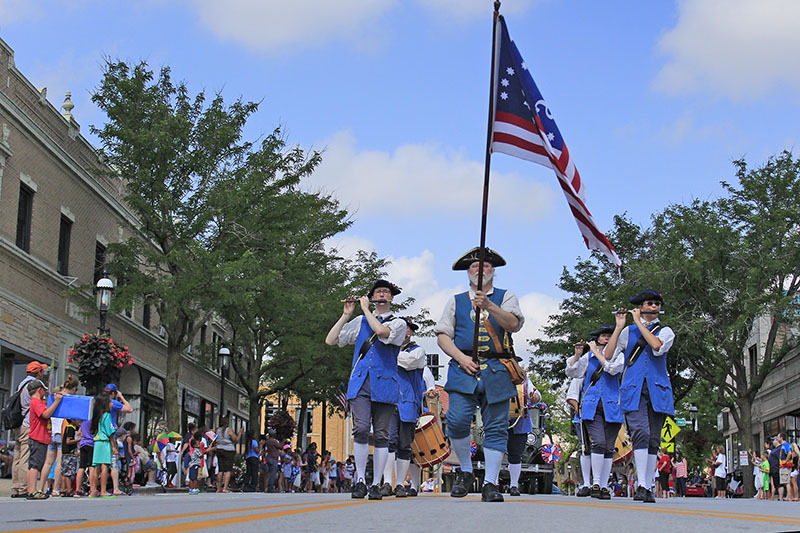 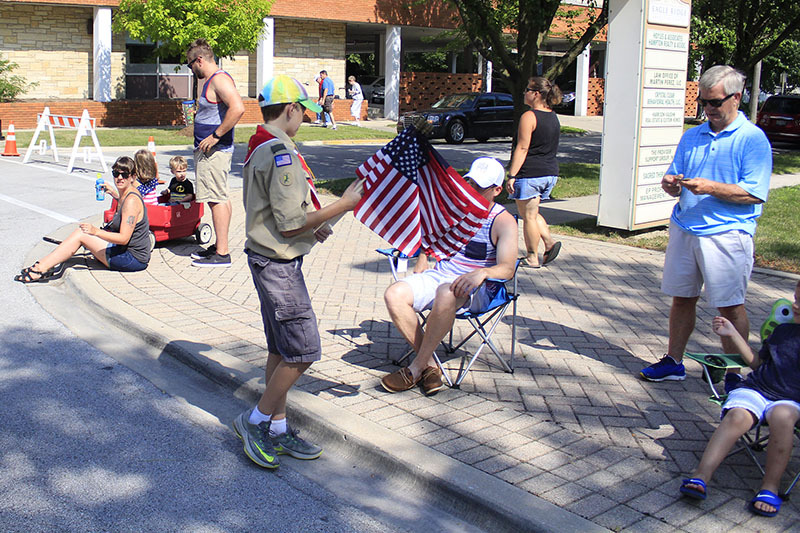 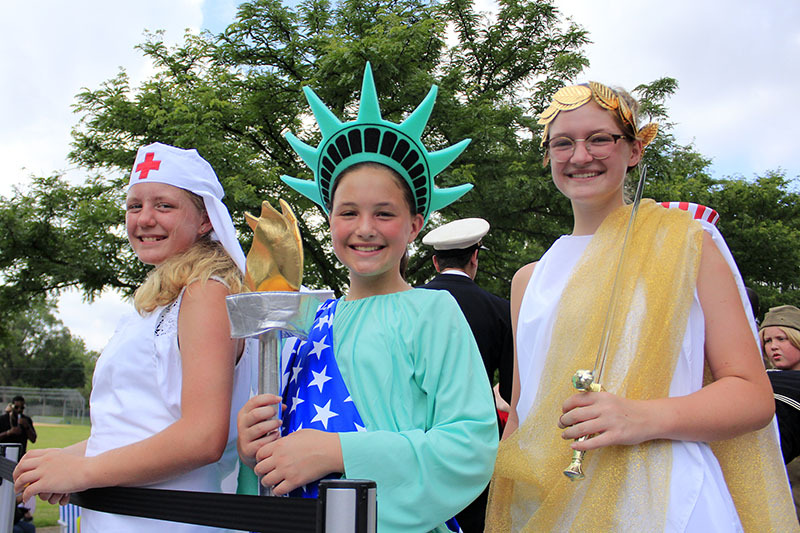 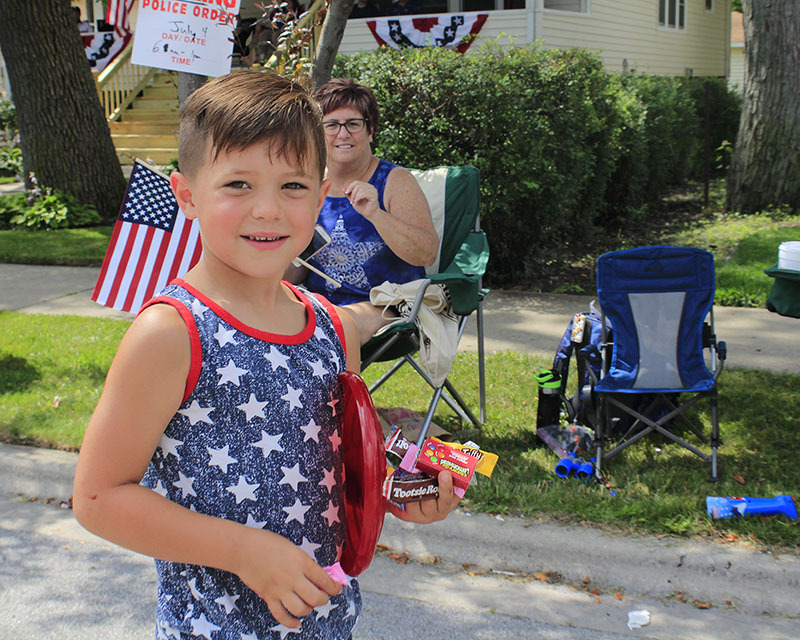 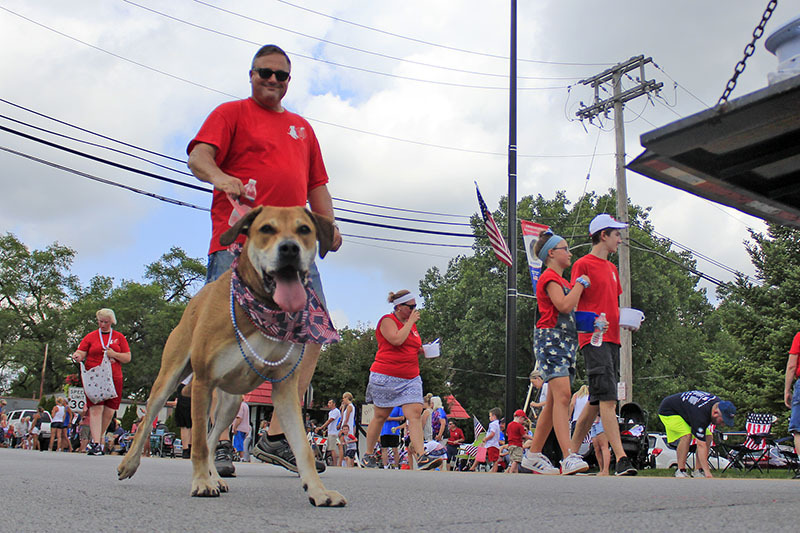 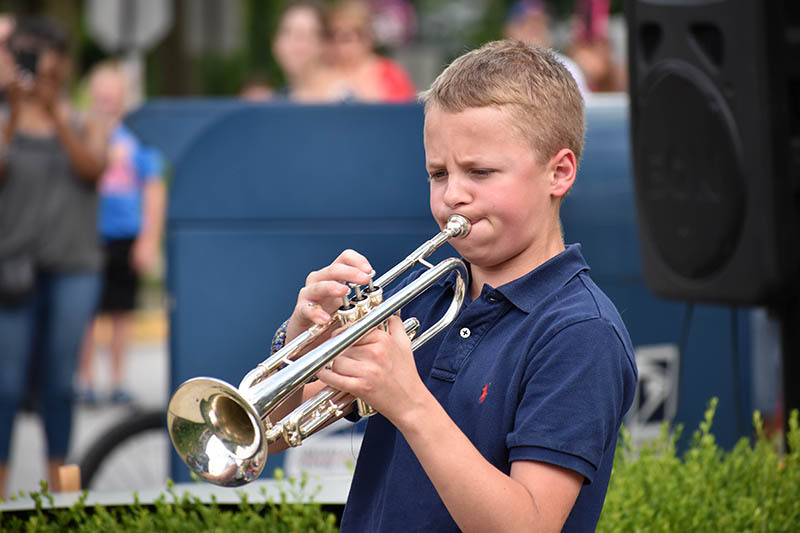 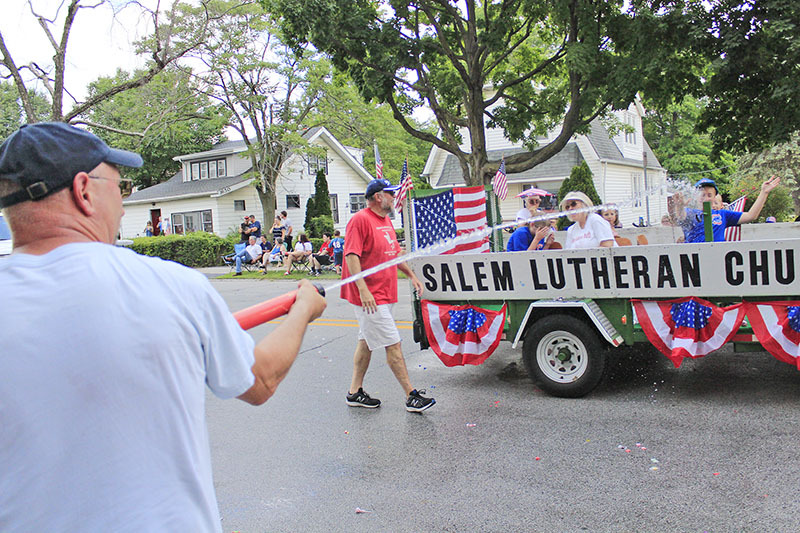 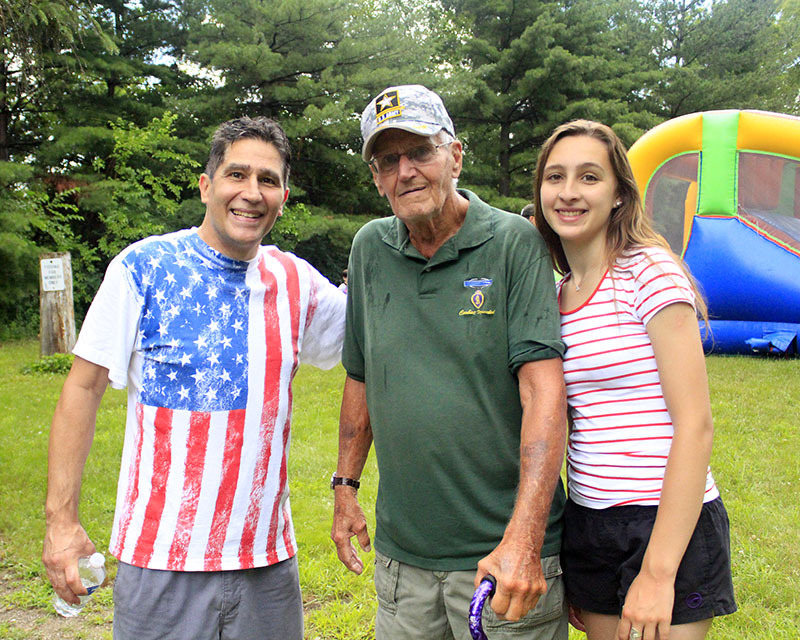 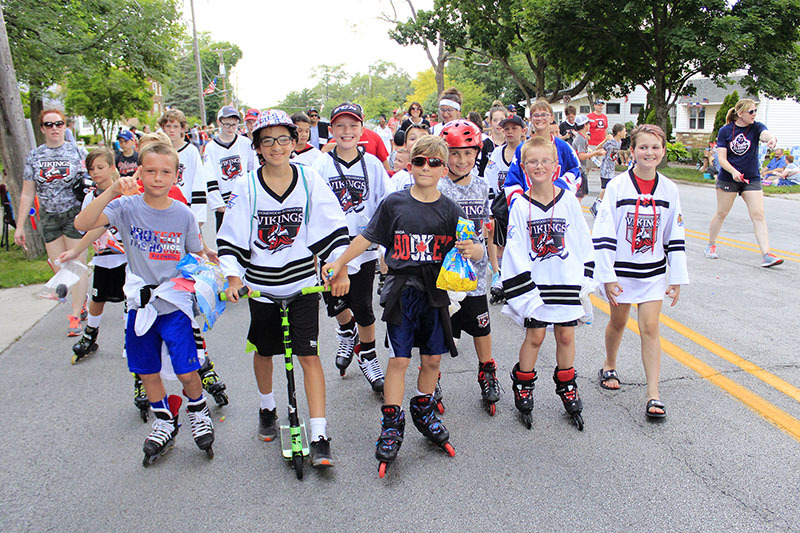 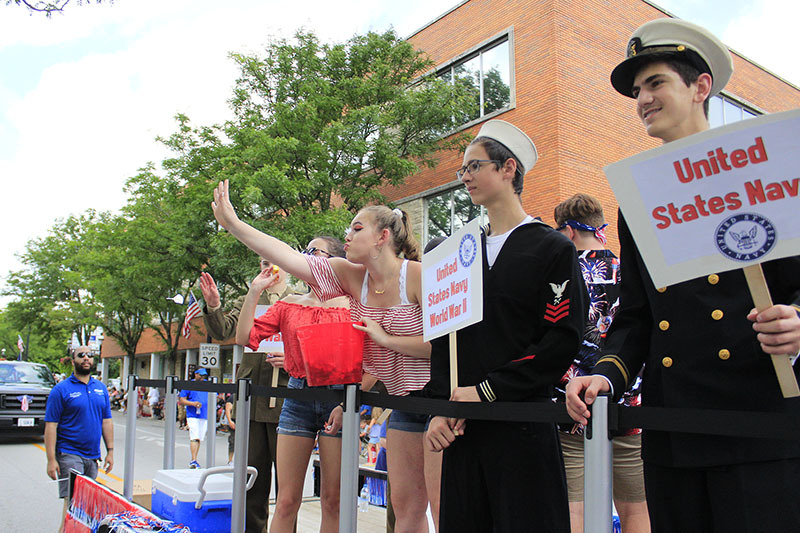 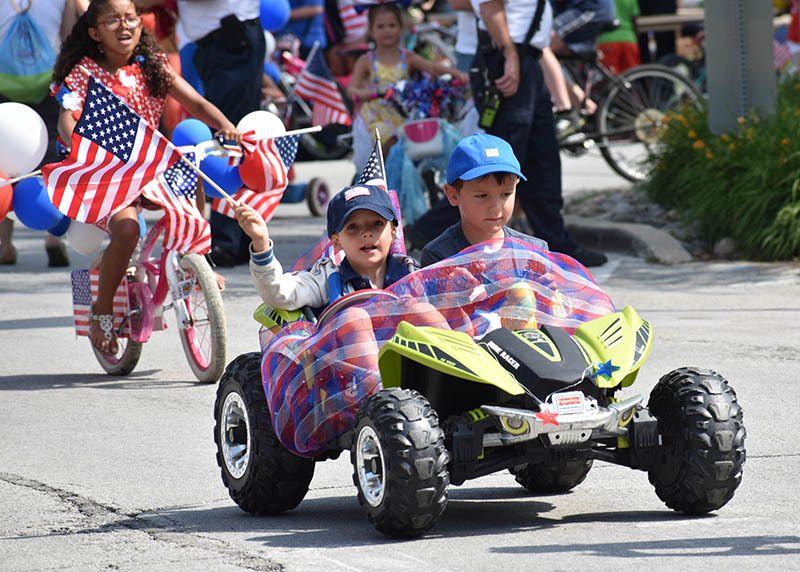 The weather was a bit fickle during local Fourth of July festivities on Wednesday. 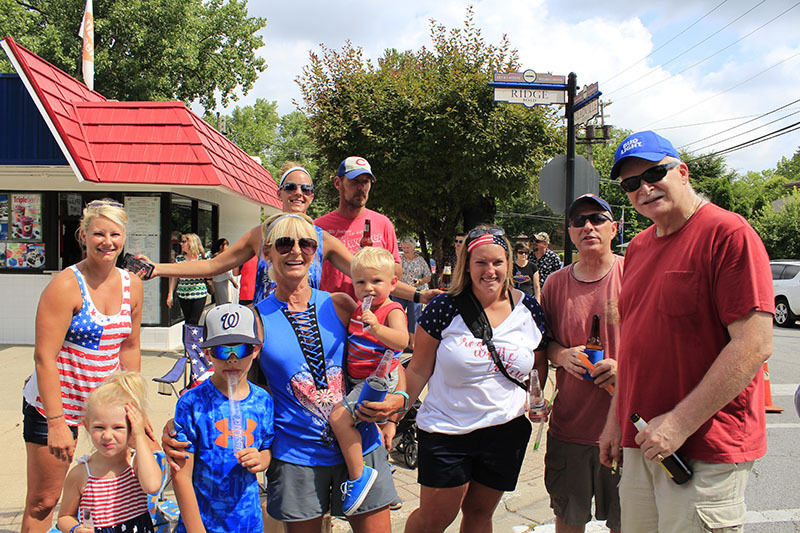 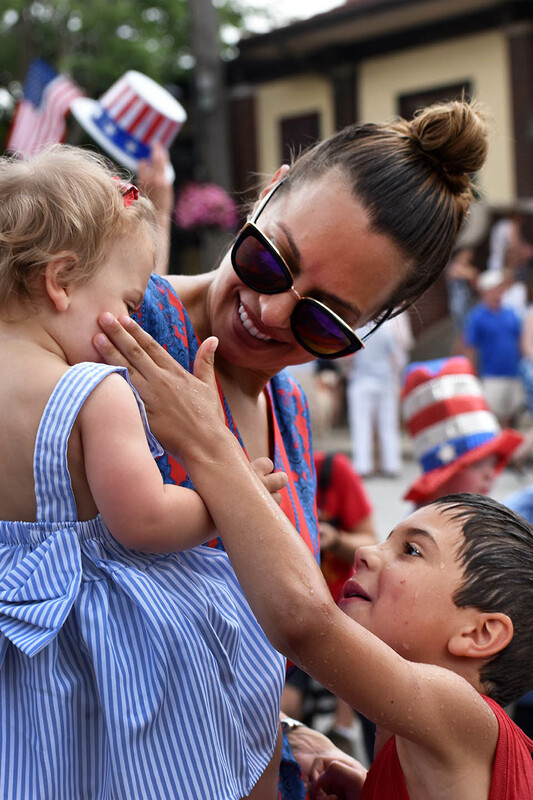 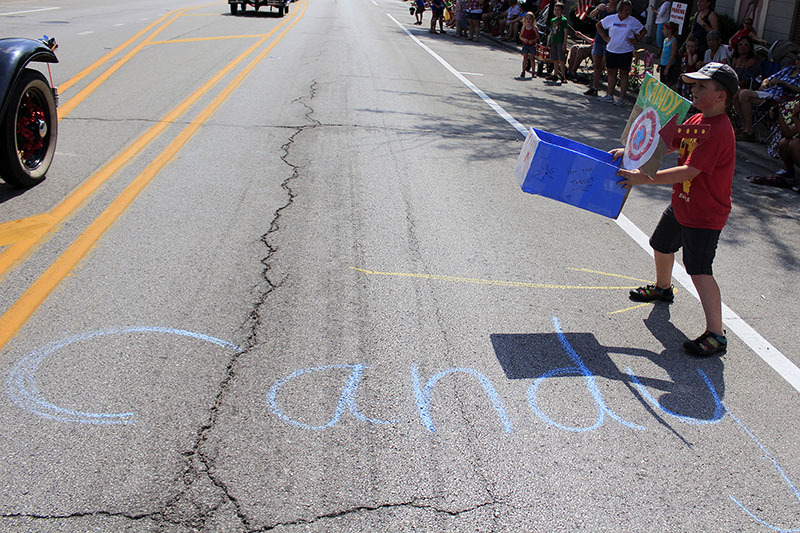 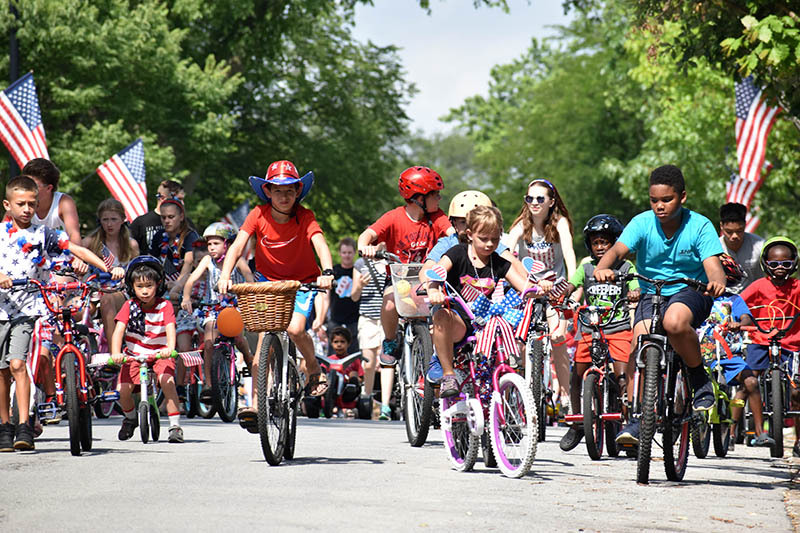 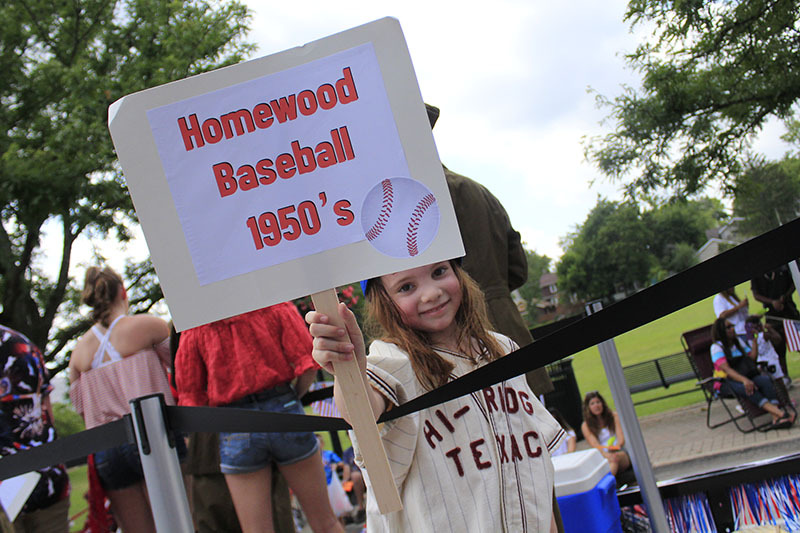 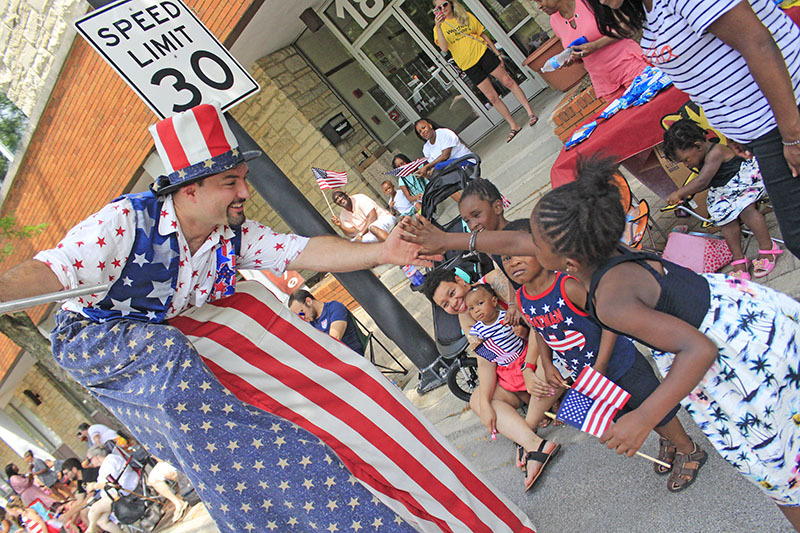 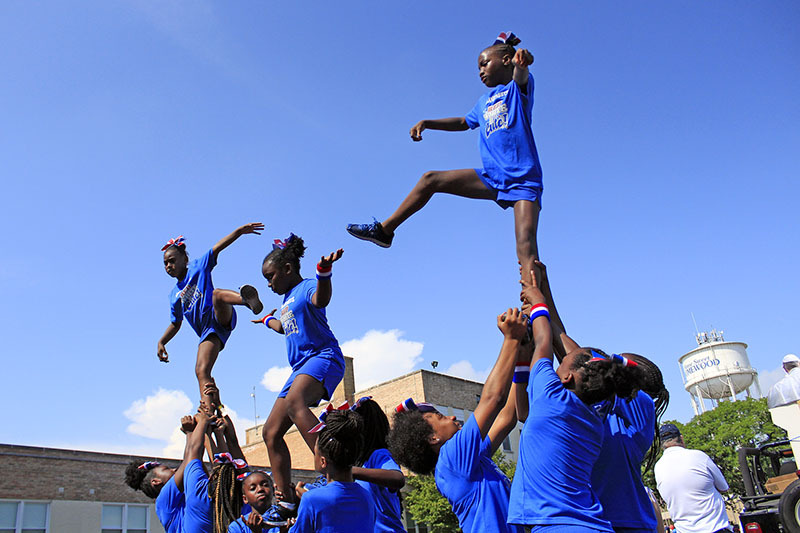 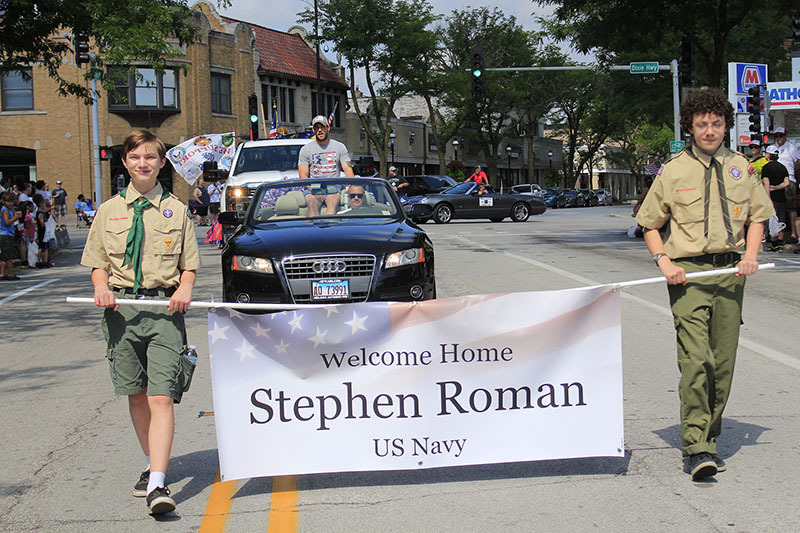 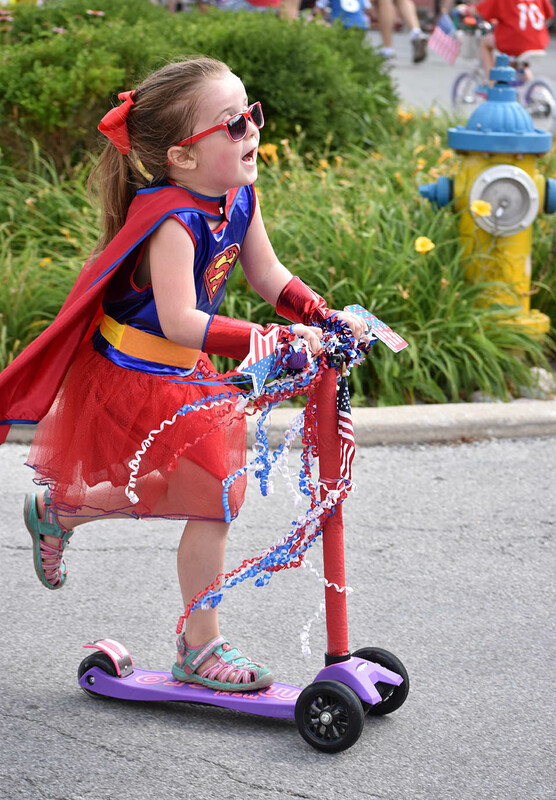 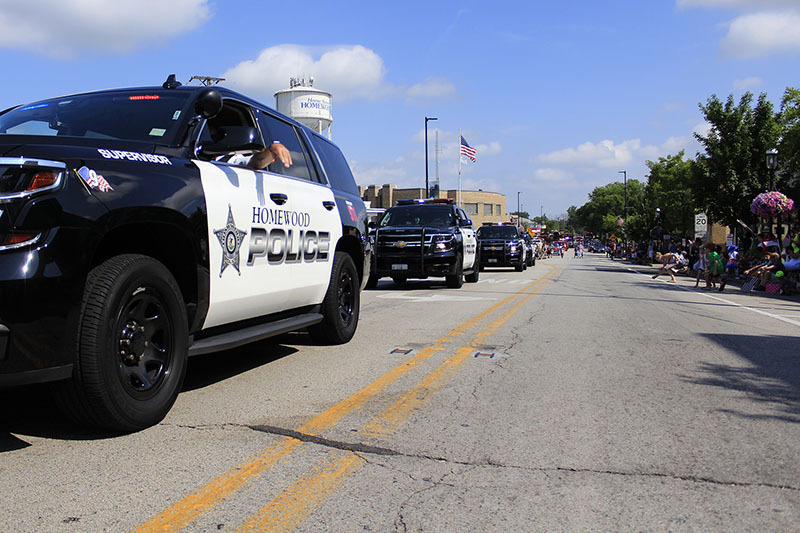 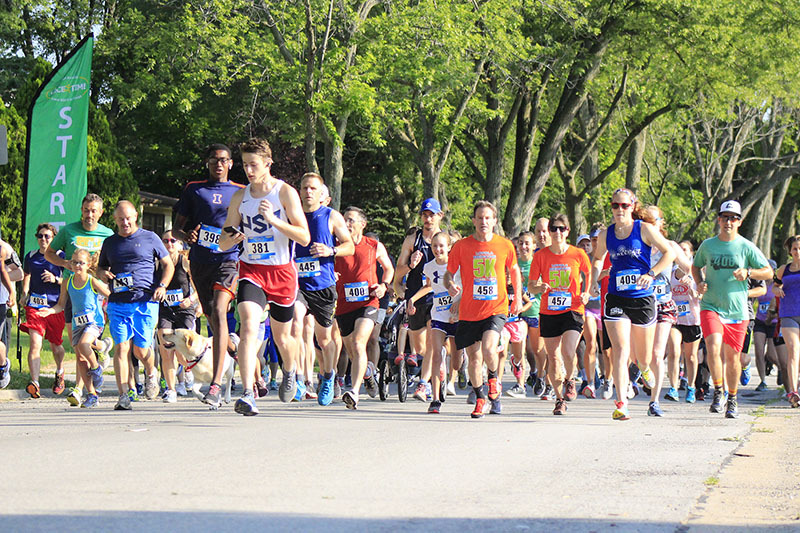 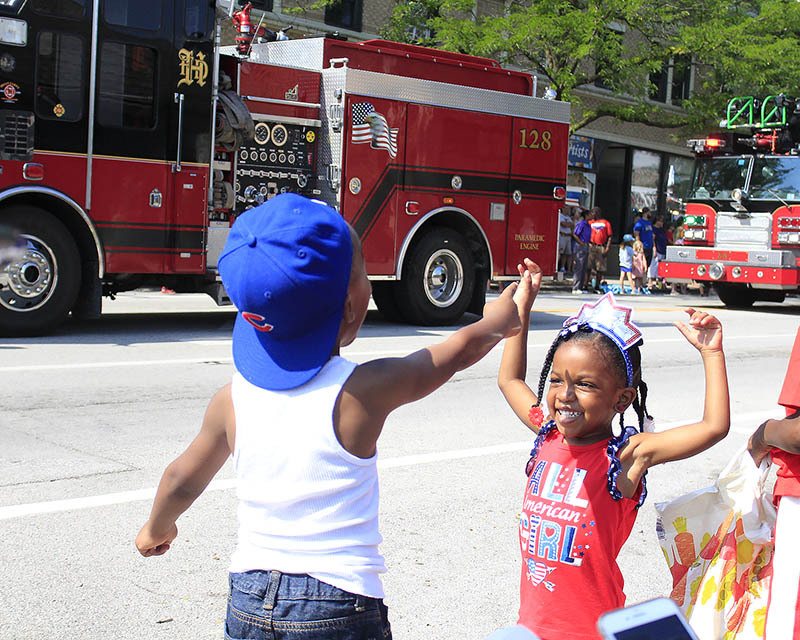 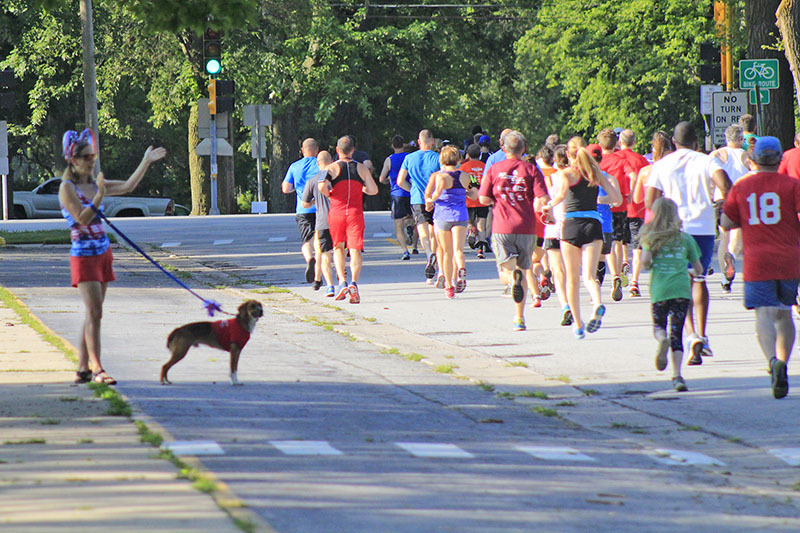 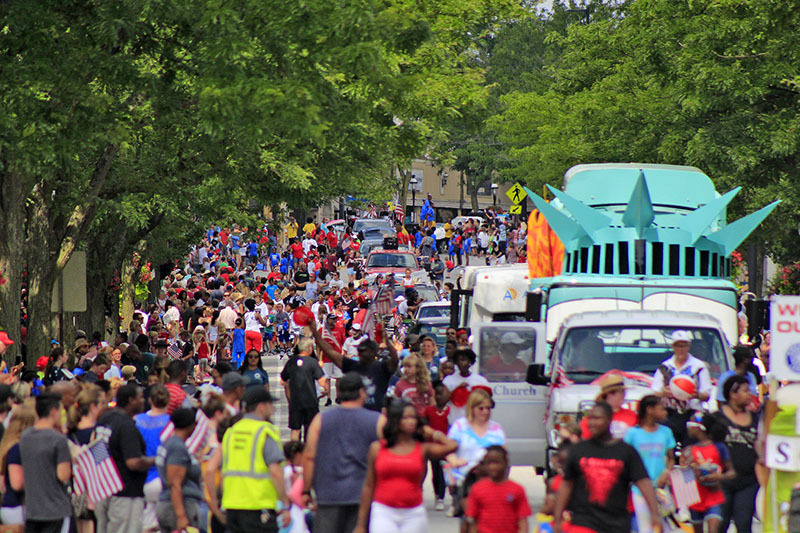 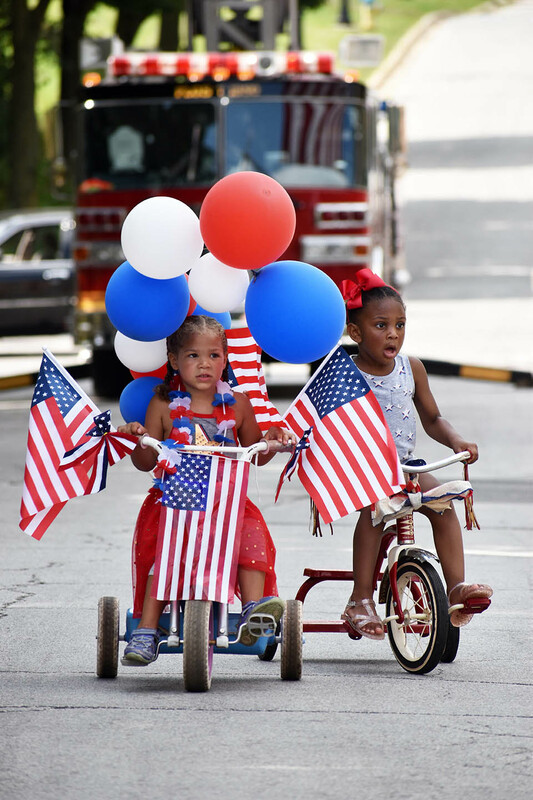 The sun smiled upon the early events -- the Homewood-Flossmoor Park District Run for Freedom 5K and the Homewood and Flossmoor parades. 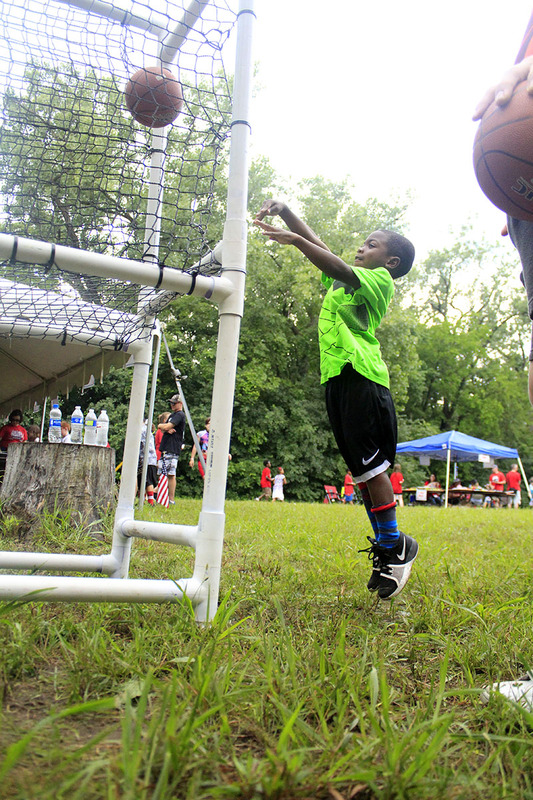 Then as the park district's Family Fun Fest at Izaak Walton Preserve was getting started shortly after 11 a.m., the rains came. 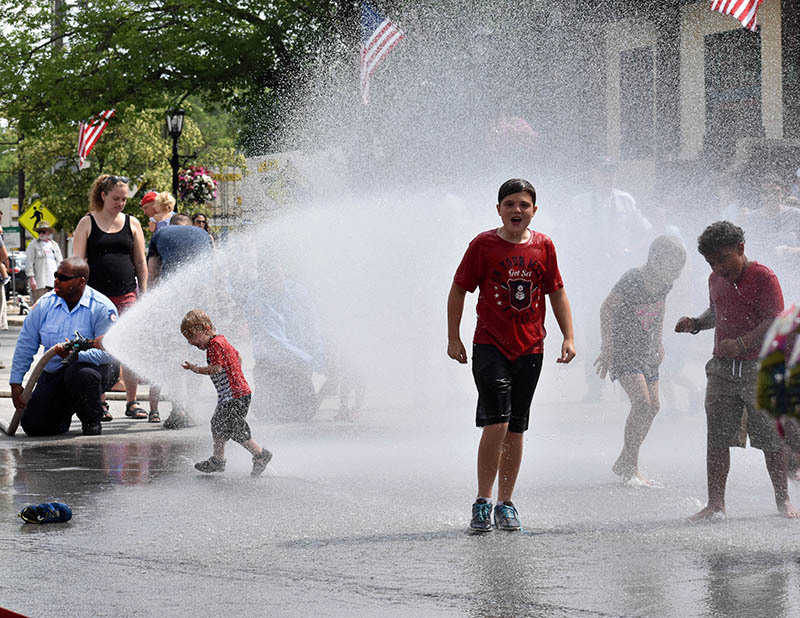 Fortunately, the showers were brief. 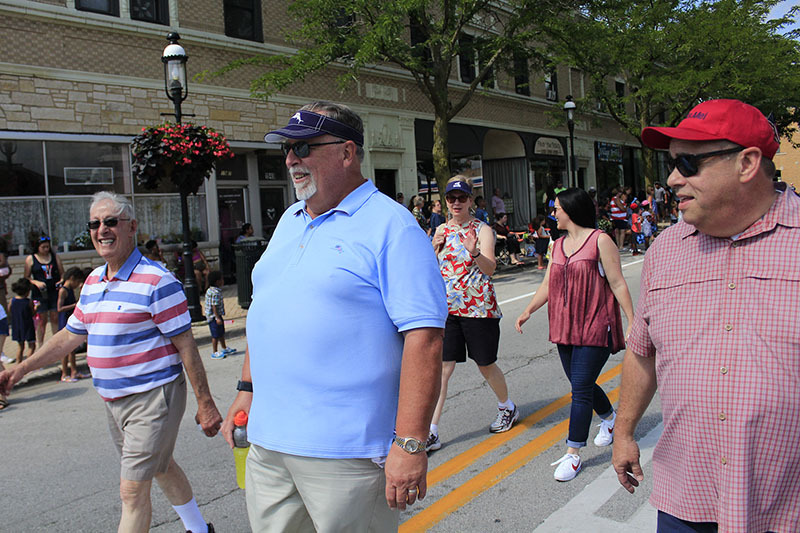 Park district staff member Joe DeCiccio said the crew was prepared for bad weather and monitored weather radar to make sure there was no dangerous lightning in the area. 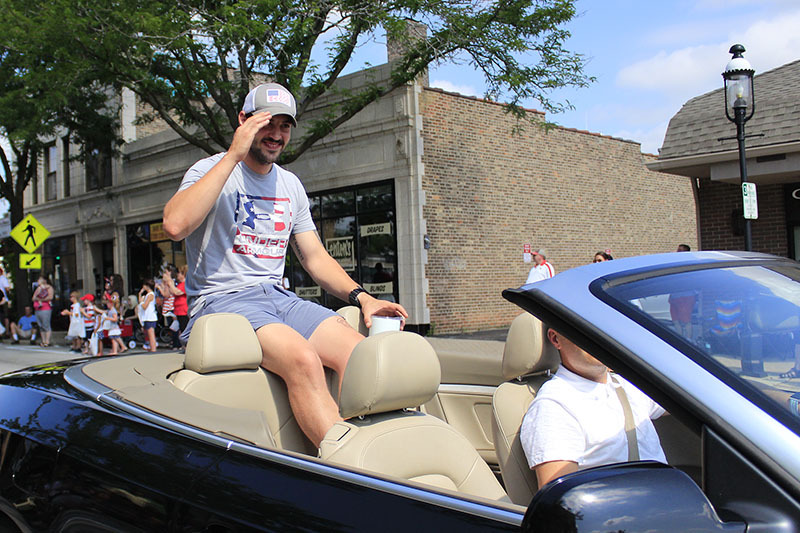 Because there was no lightning, they did not have to cancel the event, he said. 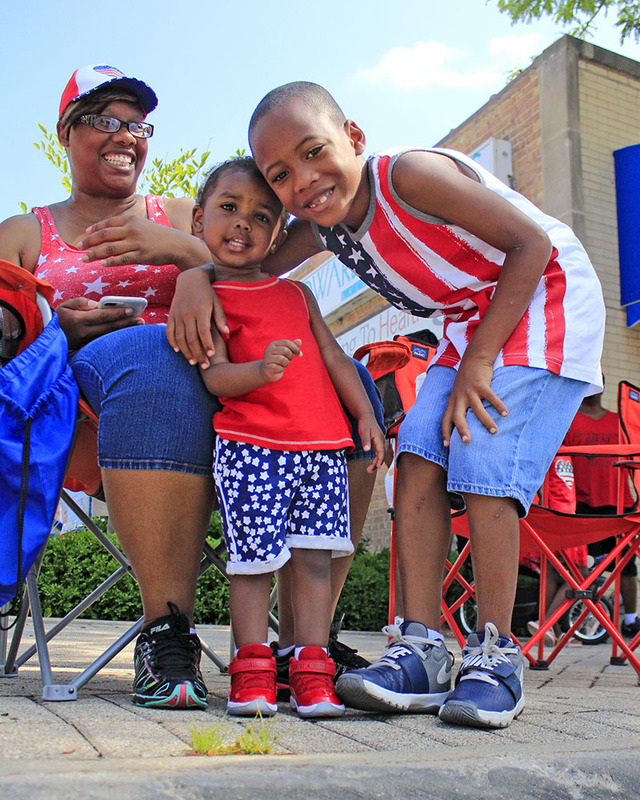 Local families were mostly undaunted by the rain. 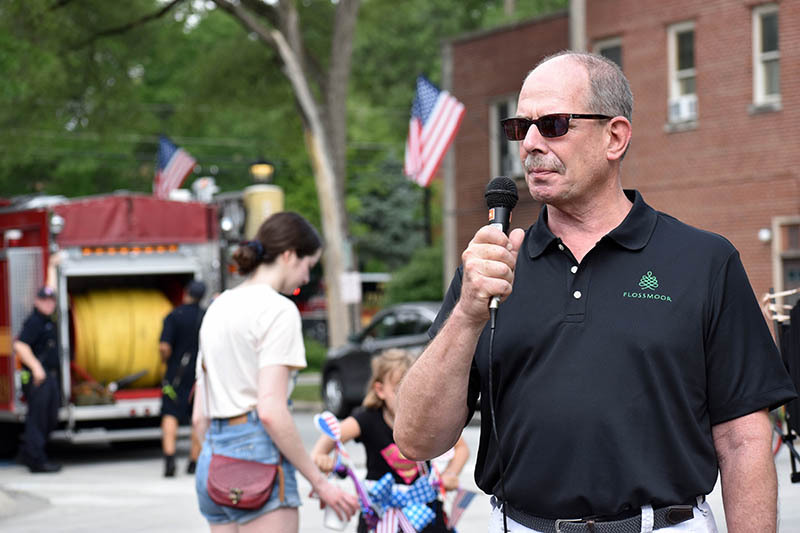 "Everyone ran for shelter for a little while," DeCiccio said. 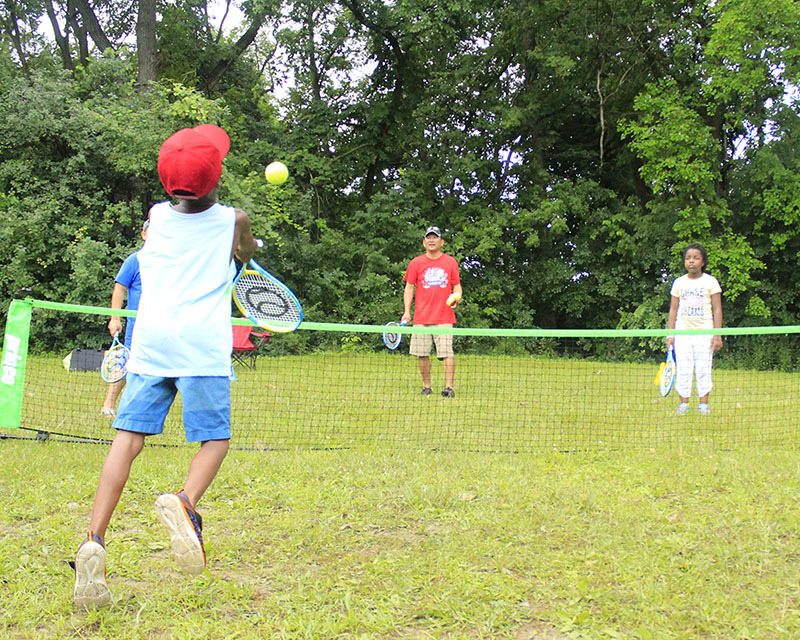 When the rain stopped, "everyone continued activities as normal." 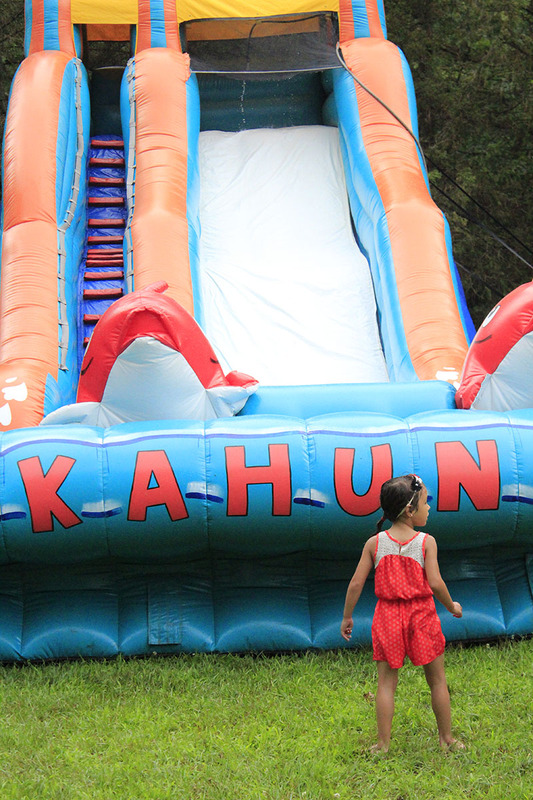 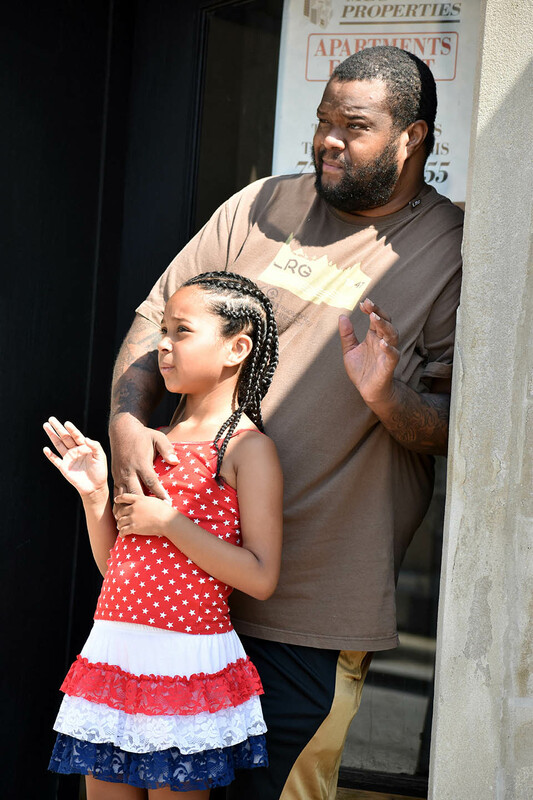 The event included the usual range of fun things for kids to do, from shooting hoops, playing tennis, playing games and enjoying several inflatable play areas.